This is not the scene from SYTYCD – it was just the best semi-related picture I could find! It has been a long week. One thing I love about when the days start getting shorter, and the kids aren’t running around outside until almost nine o’clock at night, is that we can start doing Friday Night movie nights again. It doesn’t seem right to close the blinds to make the room dark enough for a movie. So, summertime, we just play. But I love snuggling on the couch with my boys. Both Ben and Bean will curl up close with me for the whole movie and let me hold them. I don’t know how long they will let me do this, and I treasure it as a mom. For movie night this week, we watched the Season Finale of So You Think You Can Dance. It is one of my favorite TV shows. I love art in every form, but dance and music to me are mesmerizing. So many stories are told through dance and choreography. I cry at least once during every single episode. Usually the kids are in bed before I watch it, but a couple of times during this last season, Ben has sneaked out of bed to watch it with me, and I realized that he was getting the art of it. 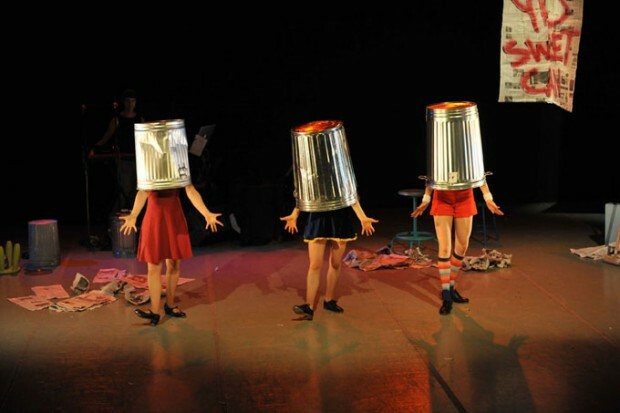 One of our favorite dances from the Finale was the one with Amelia & Will dancing to an old Stray Cats song that used a dumpster onstage as a prop. Amelia was most definitely portraying a feisty kitty and at the end of the dance, Will tossed her high overhead and into the dumpster, then jumped in beside her. She put her head up, smiled coyly into the camera, then pulled him down into the dumpster with her. Another set of words I would never have expected to hear in the same sentence. Ever!